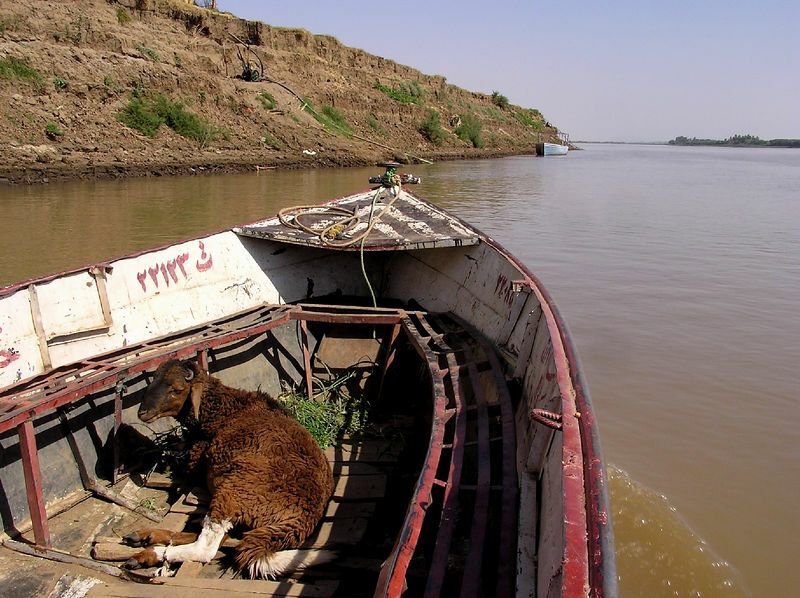 Ferry from Aswan to Wadi Halfa, then by public transport down along the Nile to Abri and Dongola, seeing many of the sights along the way and enjoying the incomparable Nubian hospitality. After cutting across the desert to Karima for a couple of days, I spent several nights in Shendi within striking distance of the country's best known attractions. I stayed in Khartoum for the final three nights, before flying to Cairo. Unforgettable. Eid meal-in-waiting, Abri. Abri was my first stop after arriving by ferry at Wadi Halfa in the far north. The Nile here presented a major contrast to built-up Egypt. I arrived in Sudan not long before Eid al Adha (Eid al-Kebir or the Feast of the Sacrifice, commemorating Abraham's near sacrifice of his son), one of the major Muslim feast-days. Lots of unfortunate sheep and goats were changing hands at the time. and I really apprciate your work.